Building different words have been one of our favorite activities to do. And bugs has such a great ending of “ug”. I thought it would be fun to make some ug words for our bug week! Hands-on mats are a great way to work on different words. These cute fireflies words and letters with a jar are great for working out the different types of words. My girls have loved them in the Romping & Roaring Sight Words Sets. They make learning words tons of fun. This set words the same is the Making “ai” words. This time you have and word ending of “ug” that you are working on. I printed the printables on cardstock to make sturdy. I would recomend laminating them to last longer as a center. Here is a look at how I set up the activity “ug” word building activity. There are only the one vowel u and the ending g for the set.. The beginning letters, blends and digraphs all match up the ug word family cards in the set. All of the letters are on small fireflies. The word cards are on bigger fireflies. I put the building page in a sheet protectors . I used a dry erase marker for the writing area. As you go through the cards you will see that they all have the “ug” words you will see the different beginning sounds that I put in. I tried to get a good mix of the words for kids to use. This makes a fun language learning center. Click here to go get your copy of the Free Bug Themed Making UG Words. If you are looking for more to do with the ug words check out the full set below! If you are looking for more UG Word Family Activities then you can check out the whole set. It has word charts, 3 part cards, writing, easy reader book, hands-on building words mat and most are in color and black and white. Plus there are some other worksheets that are easy no-prep for UG words. A fun set to work on ug word family words. You have the activity above in color and with a black and white option as well. Plus there is more. The easy reader book has 8 pages. The book has different ug words for kids to read with matching pictures. You can also use the writing page to write sentences from the book. Plus the word chart matches up with most of the words in the book. There is a writing page for writing the words you build on the mat. Plus other writing pages as well. 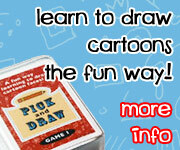 It also includes a coloring page, word writing activity and matching words to pictures activities. A lot of these are no-prep printables to help learn UG words. Click here to buy your copy of the UG Easy Reader Book and Activities Find at Teachers Pay Teachers. Click here to buy your copy of the UG Easy Reader Book and Activities Find at Teachers Notebook. This entry was posted in learning to read and tagged bugs, CVC, easy reader book, free, printables, store. Bookmark the permalink.